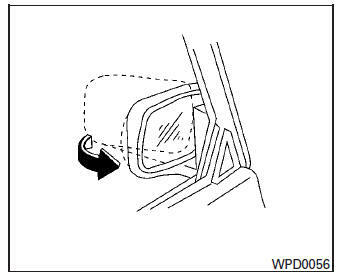 The outside mirror can be moved in any direction for a better rear view by adjusting the inside lever. The outside mirrors can be heated to defrost, defog, or de-ice for improved visibility. 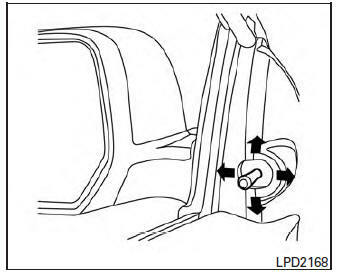 For additional information, refer to “Rear window defroster switch” in the “Instruments and controls” section of this manual.